New York: Scholastic Press, 2005 First Printing of the stated First American Edition. Book and dust jacket in fine condition. "AWFUL book! The characters did not act like teenagers...they acted like very spoiled pre-schoolers! I hated this book in this overrated series. " 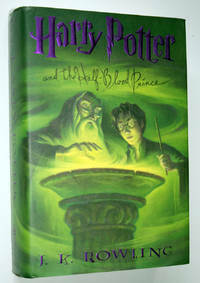 "in the front cover, Dumbledore's hand should be black and burned, looking like it's dead."